Lauder Foundation marks 30 years of support for Jewish education in Europe. Ronald Lauder, head of WJC. JTA - The Ronald S. Lauder Foundation, which funds Jewish educational programming in Central and Eastern Europe, is considering new strategies to perpetuate and institutionalize its successes on the occasion of its 30th anniversary. “Education is the one thing we can give to our children,” Ronald Lauder, president of the foundation, said Tuesday at a one-day symposium in New York for foundation professionals and Jewish community leaders from the United States and Europe. Since its founding in 1987, an estimated 30,000 to 40,000 young people have been impacted by its programs, according to Josh Spinner, the foundation’s CEO. Among the institutions the foundation funds in Europe are a rabbinical school in Berlin; Jewish primary and secondary schools in Vienna, Prague, Budapest, Athens, Bulgaria, Warsaw, Moscow and Ukraine; summer camps throughout Europe; a business school in Vienna; and a Jewish gap year program for European Jewish high school graduates. Lauder, a cosmetics magnate, real estate mogul, art collector and Jewish communal leader, said he decided to establish the foundation 30 years ago when, as the US ambassador to Austria, he realized while traveling around Europe that Jews were at risk of being lost to assimilation. 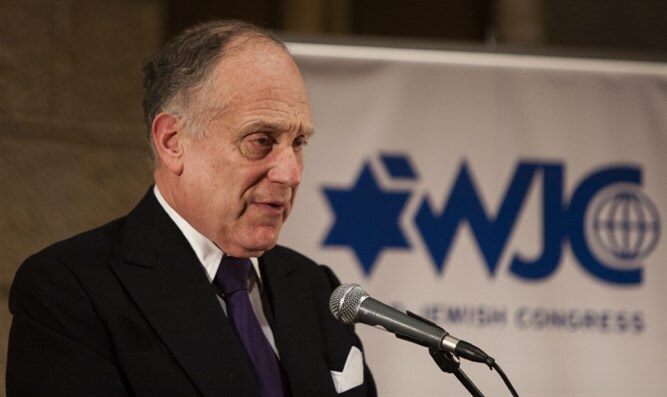 “I realized that the future of the Jewish people depended on one thing: Jewish education,” said Lauder, who is also the longtime president of the World Jewish Congress. Thirty years on, Lauder is seeking ways for the institutions he has supported to become more self-sufficient. It’s a particular challenge in Eastern Europe, where community members are not wealthy and where there isn’t a strong culture of local philanthropy. Lauder said he would also welcome other Western philanthropists getting involved in his work in order to reduce the institutions’ heavy reliance on Lauder’s own foundation.